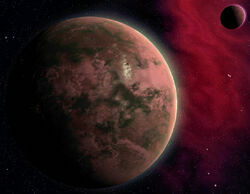 Over two and a half decades ago, a ship of approximately 200 saiyan men and women came across this world. Low on fuel and with a mission to ensure the survival of their species, they risked landing on a seemingly inhabitable world. Gathering whatever supplies could be scrounged together, they had themselves buried in the ice of the polar regions, medics monitoring them to ensure they do not die, feeding on the limited sources of food. Today, that image of an inhospitable wasteland is changing. As predicted, the planet has finally entered what could be considered its Summer phase, the polar ice caps melting to nourish the surface with much needed water. With this, forests and swamps are beginning to pop up all over, and with them, various forms of wildlife that have layed hibernating the entire time. Mostly herbivores, though the few carnivores around are partciularly large, and will pose a fatal threat to even a saiyan if preparations are not taken. However, thanks to new found strength in the saiyans as they begin to defrost, they'll certainly have more than enough to deal with these pests. The saiyan race will return to prominence - one way or another. 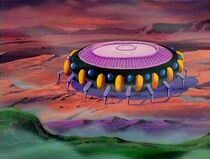 A standard model long used by members of the PTO, the saiyans began constructing it shortly before their cryo-stasis, serving as a place of residence for the medics who made sure of their continued existence. As expected of former world conquerers, it has all the works: Planetary and system spanning sensors, Anti-Aircraft weaponry, life support, fire control, a medical bay with healing pod contingents, a science lab for research, large scale kitchen and mess hall, command center, landing pad with space pods, hangar, as well as an armoury containing all the various pieces of equipment needed to explore the harshest of enviroments. 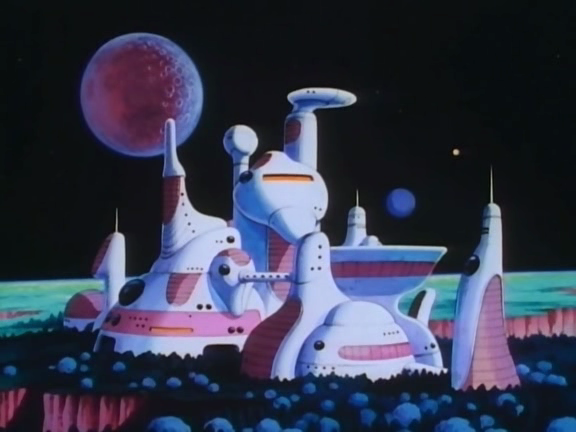 Given the resources, it could properly house and supply the 200 saiyans on the world, and given what it is happening, it might have to do just that. A standard model of ship used by the PTO, this variant is an enlarged version, capable of carrying the colony in parts. If stocked up on fuel, the ship's powerful engines could propel it from one corner of the galaxy to the other in a week - tops. Its actually because of such powerful engines that the PTO was so efficient, because it was able to launch invasions on a reasonable timescale, and one didn't need to take months to get from one planet to another - unlike models from a few hundred years ago.